West Windsor, N.J. – This week the National Junior College Athletic Association (NJCAA) announced its basketball All-Americans for the 2012-2013 season. 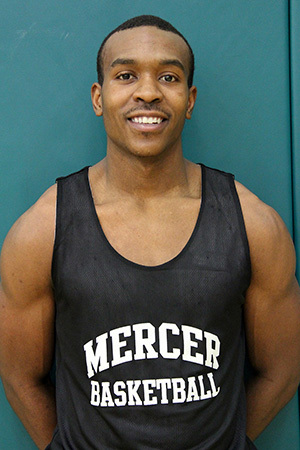 Mercer County Community College freshman Mustafa El-Amin was named as a Second Team Division II All-American. According to MCCC Athletics Director John Simone, this marks the first time in 12 years that the college has had a men's basketball player earn this honor. El-Amin's stellar first season also resulted in his being named Region 19 Player of the Year and Garden State Athletic Conference Player of the Year. El-Amin spent the entire season as one of the top scorers in the nation, finishing in the top 50 (36th) wtih an average of 19 points per game. In 31 games played, he hit close to 50 percent of his shots, finishing the year with a 49 percent field goal average. Th 5'11" guard, a graduate of Rancocas Valley Regional High School, was also a major asset defensively. He averaged 5.5 rebounds, 2.4 assists and 2 steals per game. El-Amin's all-around contributions helped the Vikings improve from a 4-24 record last season to a 21-10 record this year. The Vikings fell just short of qualifying for the NJCAA National Tournament, when they lost to Essex 65-59 in the Region 19 Championship.